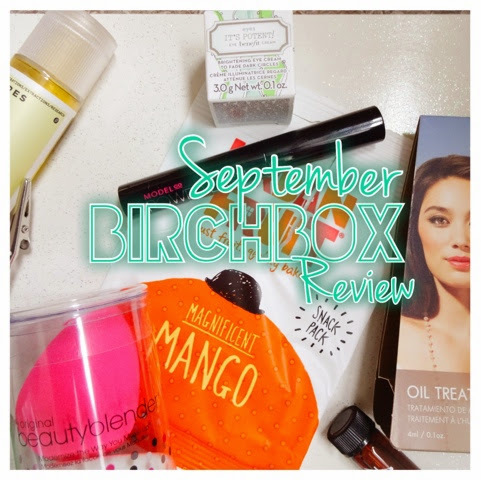 Talking about Birchbox here. I used to subscribe a while ago, then I got a bit fed up because the samples were usually pretty small and they didn’t send me much make-up, it tended to be more body and skincare. 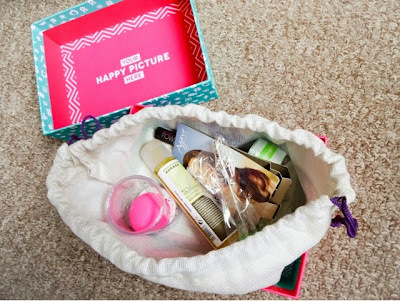 I cancelled and switched to Glossybox and have been a lot happier with them. 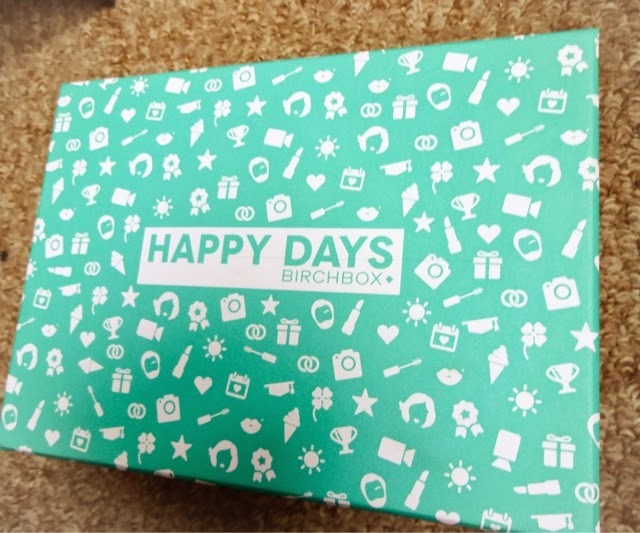 But last month, Birchbox sent something to their subscribers that I had to have…so I signed back up! I was also given a code for a full-size palette from The Balm, which was totally the cherry on top. Sadly, that hasn’t arrived yet, but the box came today. I was in two minds about posting this, because it’s the September box and everyone’s probably seen it already by now, but it seemed too good not to show. Check it out! I also do miss getting the little drawstring bags Birchbox goodies come in…They’re so useful to keep undies organised in your suitcase when you’re travelling. So, straight in there, starting with the main attraction and the whole reason I signed back up. Everyone received a BeautyBlender with a bar of the solid cleanser. This alone is worth £26, which is more than double what you pay for the box (£12.95 including shipping). Talk about knocking it out of the park. What a deal! 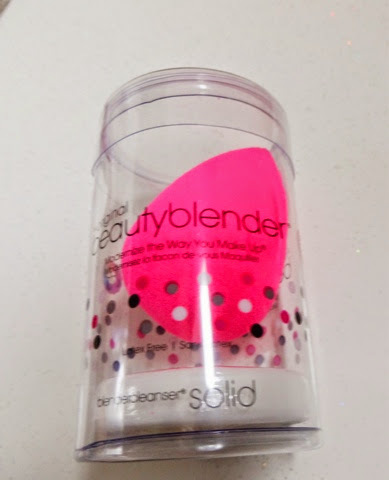 I’ve wanted to try the BeautyBlender for quite a while, of course the blogosphere went crazy for it and I’ve heard no end of praise and calls of ‘Holy Grail’. But I’ve always baulked at the price of the thing! I certainly don’t mind spending money on beauty prods, clearly, but £15 for a small piece of foam seemed a bit ridiculous, even to me! I just couldn’t quite get my head round it –was it really worth it? Of course when I saw it was in the box I was snapping their hand off to sign back up. Having read plenty about the BeautyBlender, I do believe it gives a flawless finish – there must be a reason that many bloggers, MUAs and make-up fiends rate it so highly. However, I gather its also quite high-maintenance because it needs constant washing and drying- if you use it every day, you have to wash it everyday. I thought I was doing fairly well washing my make-up brushes once a week! Because of that, I see this as being more of a ‘special occasion’ tool for nights out, high days and holidays. I’m fairly wedded to my Real Techniques Stippling Brush anyway, so I expect I’ll continue to use that most days, but this is such a marvellous thing to get in the box, I’m thrilled. I’m a massive fan of oils of all kinds and descriptions, mainly because you can do so many different things with them. This one is intended for hair, to build resilience and boost shine and colour – all of which I’m totally in need of! 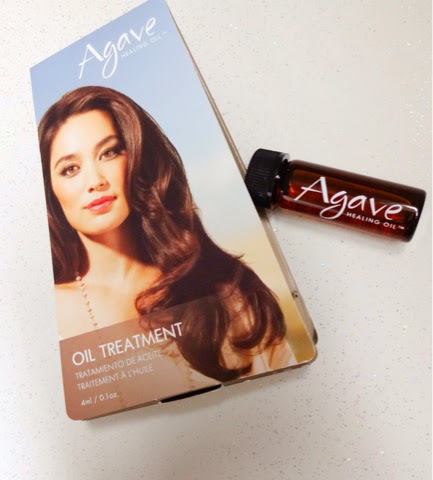 You smooth a small amount onto hair – either wet or dry- and the agave sugars work their magic to smooth and hydrate, killing any frizz. I already use L’Oreal Professional’s Mythic Oil, which I count as a must-have product and although this smells lovely and did a great job of softening my fried-out ends, I don’t like it as much as the Mythic Oil. The little bottle makes this useful to carry with you and use in a fix though, and might just have snuck into my everyday make-up bag. If there’s one skin problem I wish I could banish to Room 101, its my horrible dark, saggy, puffy undereyes. Nothing I’ve tried has really been miraculous, and although I have my favourites, I’m always keen to try something new that might help. I have mixed feelings about Benefit – some of their products are genius and others are a triumph of marketing and cute packaging over substance. 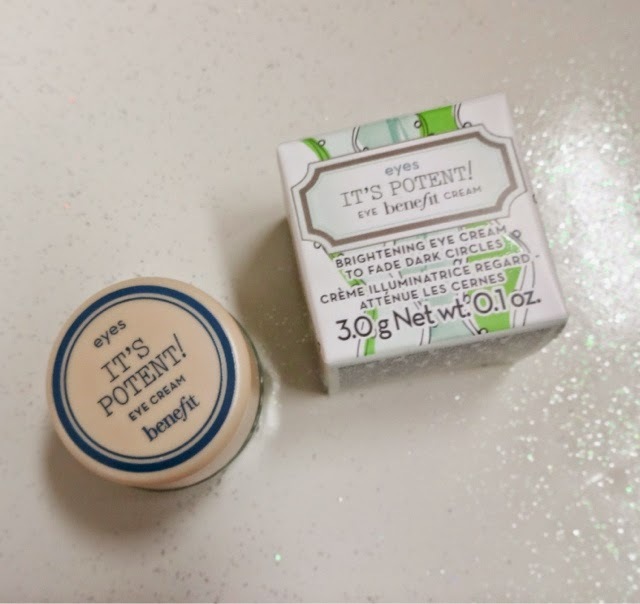 I used to work on the Benefit counter part-time when I was a student, and I always felt that some of their products were great and others were just hype. But they didn’t do skincare when I worked there and I haven’t tried any of it since. 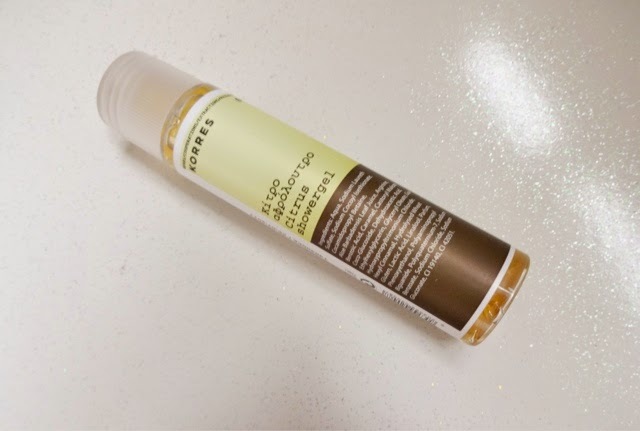 This cream claims to fade out dark circles and fine lines with a peptide complex, hydrating botanical extracts and something called ‘loquat’ which apparently helps to protect the skin from free radical damage. The formula is a rich, thick peach-coloured cream that’s quite buttery – it reminds me a lot of Clinique’s All About Eyes (another product that did not fade my dark circles!). I have my doubts about whether it will do much to improve my under-eye situation (so far, more water and a good concealer have done more for me than any cream), but I’m willing to give it a try and if it does work miracles, of course I’ll let you know! This is just the kind of thing I used to hate receiving from Birchbox, and part of the reason I cancelled in the first place. Not because it’s a bad product, but because I literally have boxes and boxes of mini body lotions and shower gels, I only use them if I’m going away for the weekend, and it just annoys me to have them stacked up somewhere being a bit useless. The saving grace is really that I got the Korres Citrus Body Milk in a Birchbox a while back, so now I have the little matching set, which pleases the OCD bit of my brain. Normally, I’m not a big fan of ‘citrus’ things, because a lot of them smell like Cif, but this is actually a mellow, sweet citrus smell that even I find pleasant. I can imagine this would be really pleasant and refreshing on sun-baked holiday skin. Its been so long since I’ve been away that I was smelling this rather wistfully, dreaming of warmer shores. 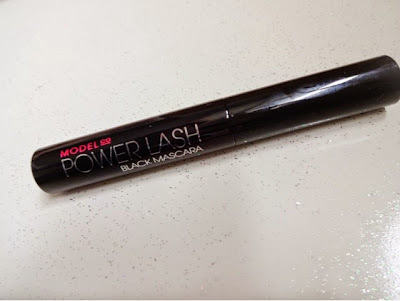 ModelCo has been all over the shop on the beauty boxes at the moment, September’s Glossybox had their brow stuff and now here’s the mascara to match. Its nice to see a beauty product in there, for one. I’m unconvinced about this though, for a number of reasons – first off, it has one of those gigantic, fat bristle brushes. I hate those. Every mascara I love has a plastic brush or a head that’s more like a comb. These old-fashioned wands just don’t seem to perform as well. Secondly, I tried ModelCo’s Lash Extend mascara as a magazine I bought came with a full size one, and I was in no way impressed. It was spindly, weak and pathetic and didn’t even come close to the fanned-out, volumised look I love. 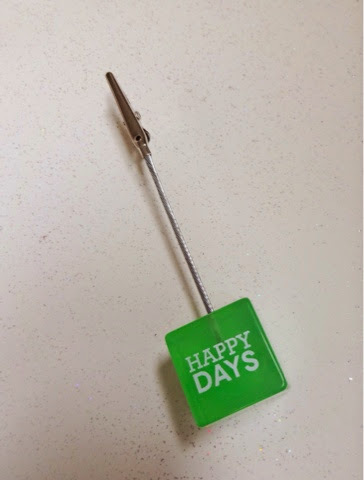 It went straight in the bin after one use – and I very rarely do that with products, I’m a bit of a hoarder and like to try and make these things work somehow. But it was hopeless. I’m pretty sure this will be the same. The only saving grace (and it’s a small one) is that it comes in a dainty little mini tube that would be easy to pop into a small bag for…mascara touch-ups? Does anyone do those? This made me smile, if only because photo clips are so retro! This totally reminds me of being 12, when I had dozens of these littered around my bedroom, complete with Polaroids of my grinning friends. 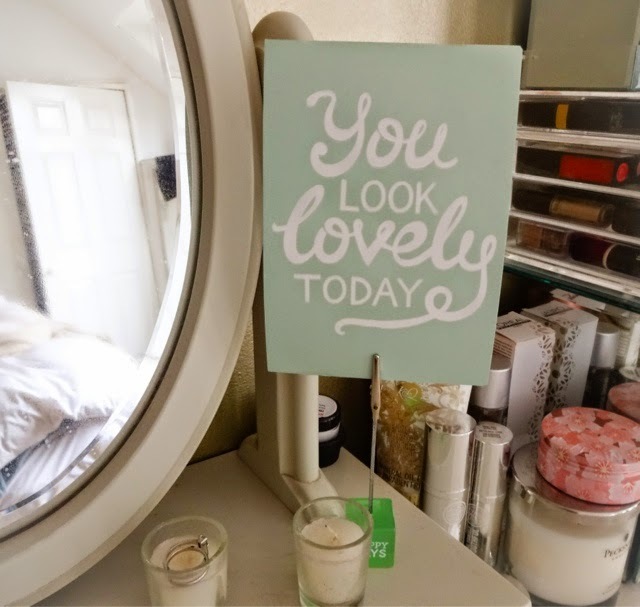 At first, I thought this was a bit useless but now I’ve decided it might be good for holding print outs of make-up looks I want to try on my dressing table! And a tasty treat to finish! I quite like getting the odd food item in these boxes, as long as its additional, like these were. 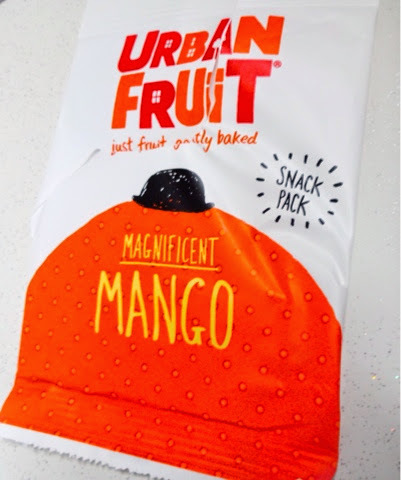 This is a virtous snack because they don’t add sugar – just bake the fruit, but I still think its much better to eat fresh than dried. Obviously if its between this and a chocolate bar, then you’re being good, and these are ideal for people with kids as well. Very tasty…as you can see I polished this off long before I took pictures. Oops. So, was this box fabulous? Yes it was. More than worth it on the BeautyBlender alone. And if my palette from The Balm arrives, it will obviously have been an exceptional purchase for a tenner. But I’m still not resuming my regular Birchbox subscription just yet. My reasoning is that so many people I know get Birchbox, if there’s anything amazing in there, I generally hear about it in plenty of time to order one (like I did with this one) – you can order any time in that month to get that month’s box. But on the whole Glossybox still reigns supreme for me. This looks like such a good box!